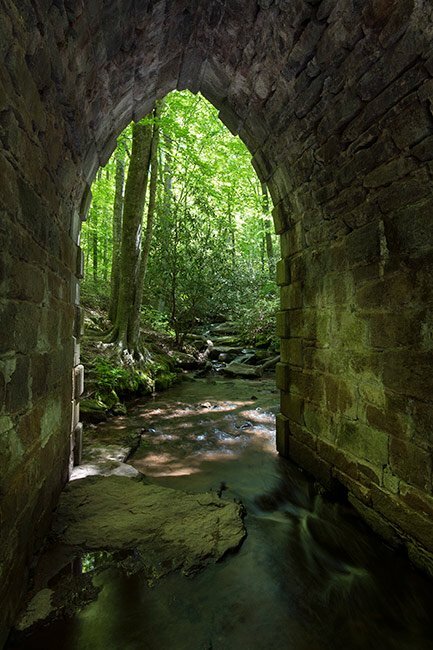 Located just north of Greenville, the Poinsett Bridge was built in 1820 and is believed to be the oldest surviving bridge in South Carolina. 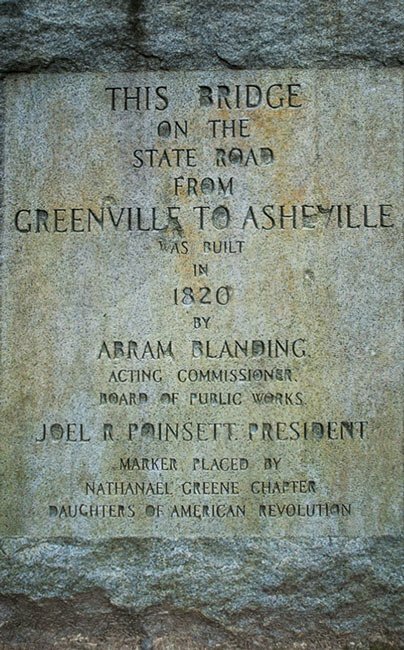 It was named for Charleston native and U.S. Ambassador to Mexico, Joel R. Poinsett. Poinsett is also credited with bringing the poinsettia flower, which now bears his name, to the United States. 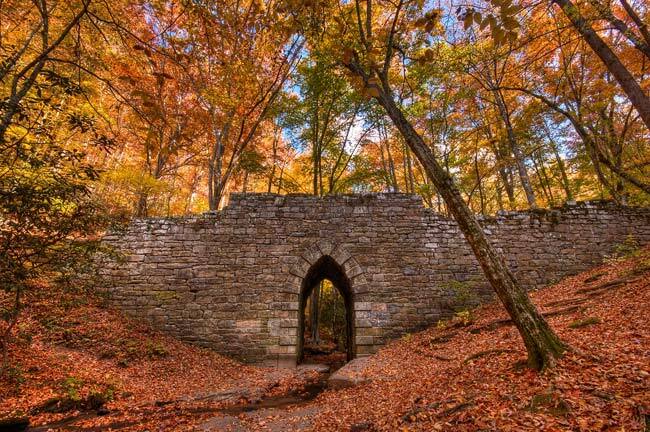 The bridge was part of the original State Road, a toll road that ran from Charleston through Columbia to North Carolina. 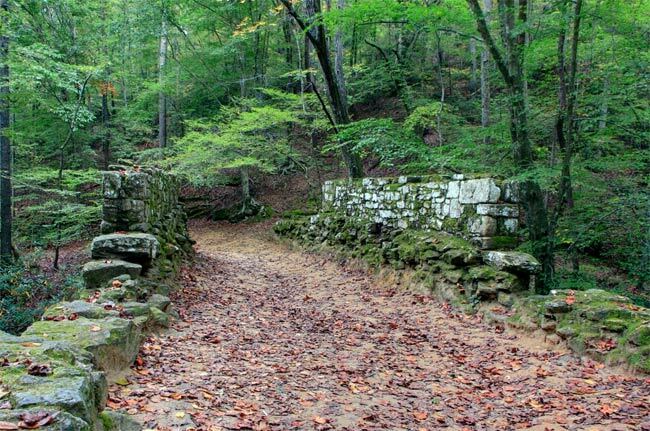 Constructed from locally quarried stone, the Poinsett Bridge was one of three stone bridges along the stretch of State Road referred to as the Saluda Mountain Road. 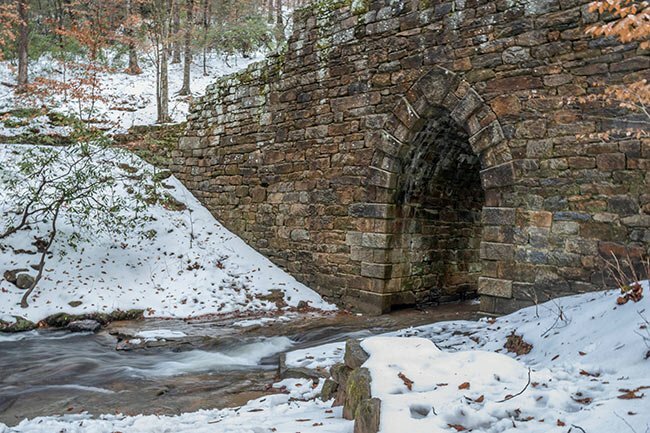 The bridge features stepped parapet sidewalls and is marked by a 15-foot Gothic arch which forms the passage for Little Gap Creek, a small tributary of the North Saluda River. At the time of the bridge’s design, Poinsett was the director of the South Carolina Board of Public Works. It is speculated that Robert Mills, architect of many South Carolina buildings as well as the Washington Monument, may have designed the bridge. 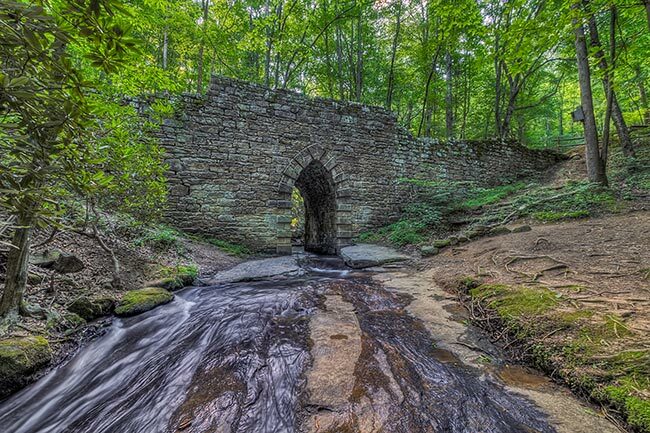 While the Poinsett Bridge is the most famous attraction at this location, there is quite a bit more to see. 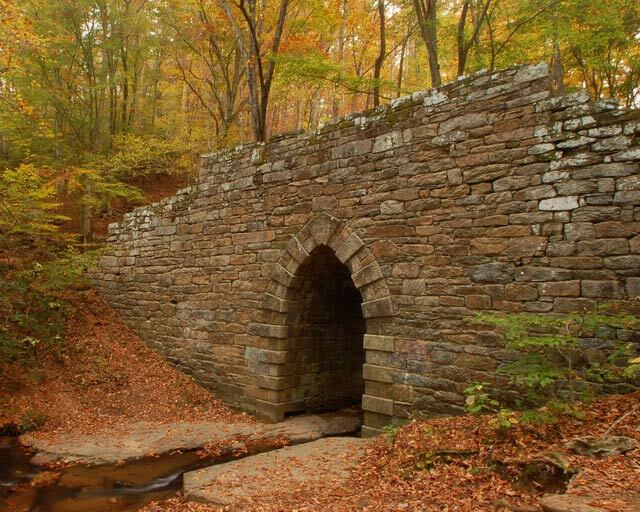 The bridge is located within a Heritage Trust Preserve which is a natural nature preserve, managed by the South Carolina Department of Natural Resources. 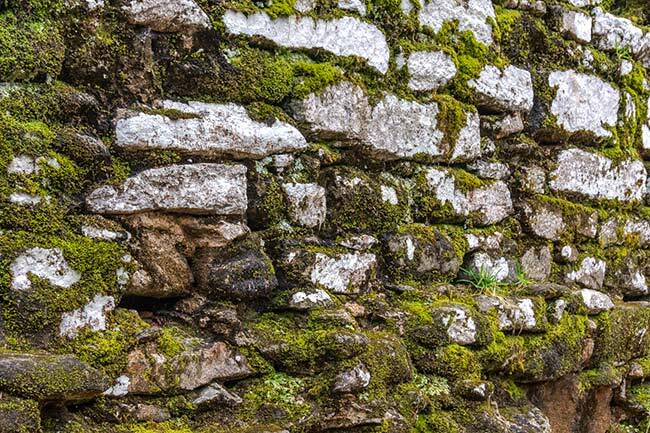 Heritage Preserves are noted to be a place where history, ecosystems and archaeological areas will be preserved in their entirety. 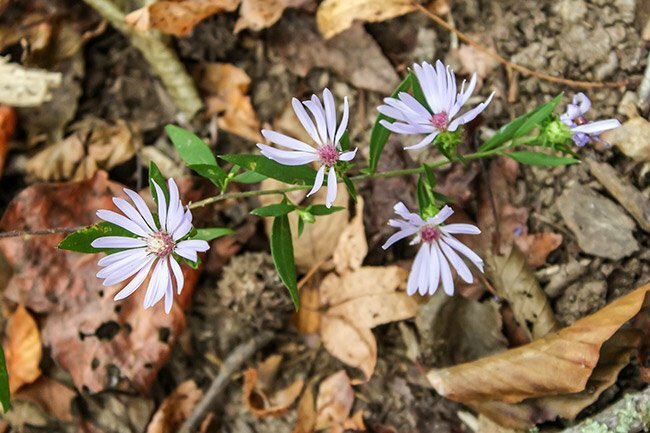 The 120-acre preserve is home to many plants indigenous to South Carolina. 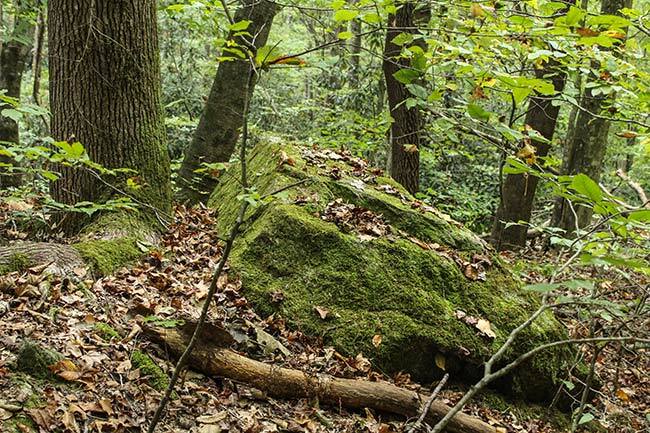 By having the land they grow on in a protected preserve, we can ensure natural areas remain for these plants to flourish. 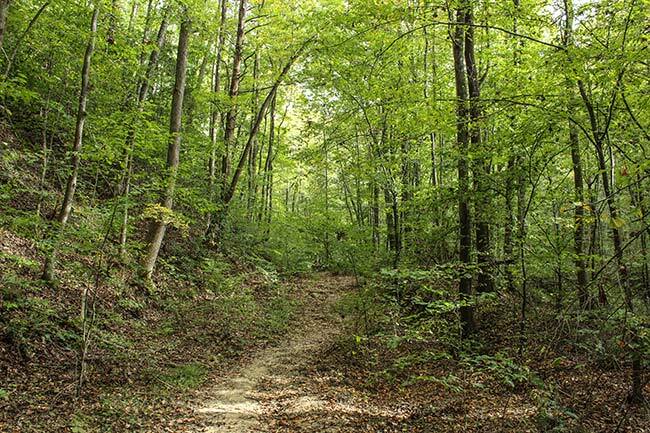 Trails meander through the acreage and planned picnic spots and interpretive areas along the trail are currently planned by the Department of Natural Resources. 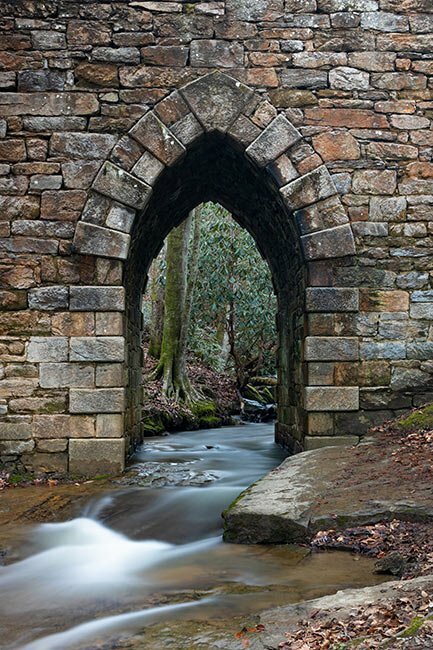 Constructed in 1820, the Poinsett Bridge is one of the oldest spans extant in South Carolina. 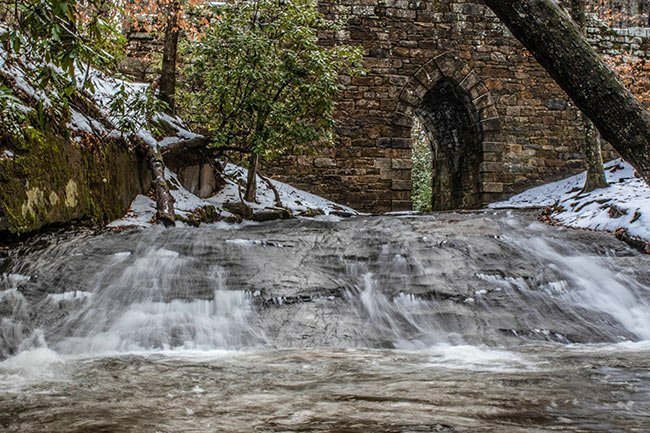 Its impressive construction of wedge shaped rocks, erected without concrete, has pointed Gothic arches that are rare in the state today. 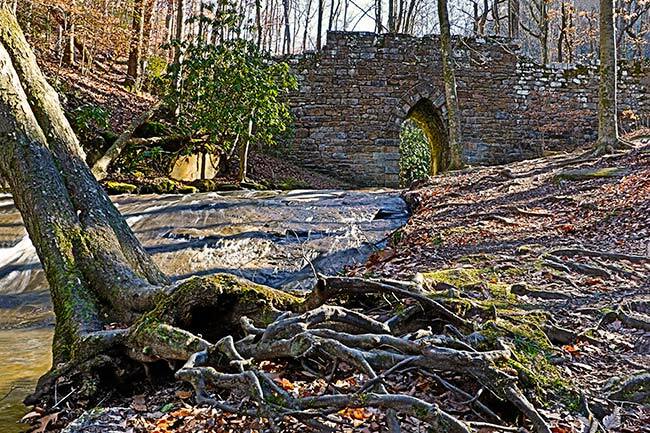 The bridge was part of the State Road from Charleston through Columbia to North Carolina that was designed in 1817-1819 by Joel Poinsett, director of the South Carolina Board of Public Works. The bridge was named in his honor. Poinsett also served as Secretary of War, Minister to Mexico, and first president of the National Institute for the Promotion of Science, forerunner of the Smithsonian. It is believed that Robert Mills designed the bridge. Mills became State Architect and Engineer for the South Carolina Board of Public Works in 1820. A brush drawing by Mills of a bridge with Gothic arches and keystone identical to those of Poinsett Bridge lends credence to the belief that Mills designed the bridge. What a beautiful and serene spot. I plan to visit here again very soon. You can see it from your car! 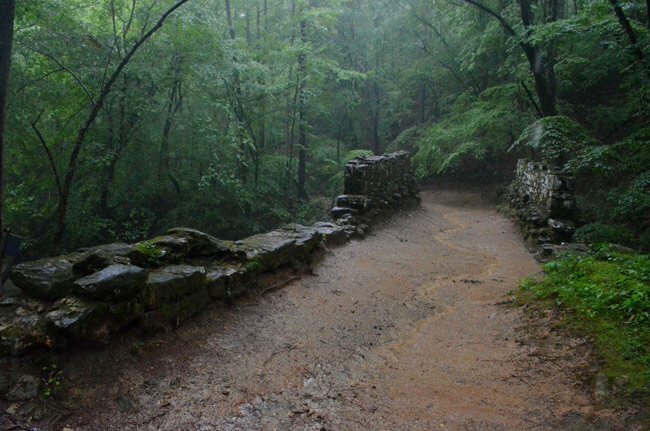 In fact, a road runs alongside the bridge, so you don’t even have to get out. However, the parking area is across the street from the bridge, and while it is not a long walk, I suppose it depends on where you are able to find a spot. It is worth viewing, however – just beautiful! How much of a walk is it to the bridge, or can you see it from the car/parking area. One in my party is mobility impaired and cannot walk long distances. Anyone know the last time that the bridge and road beyond was open to automobiles? What is the elevation at the Bridge? 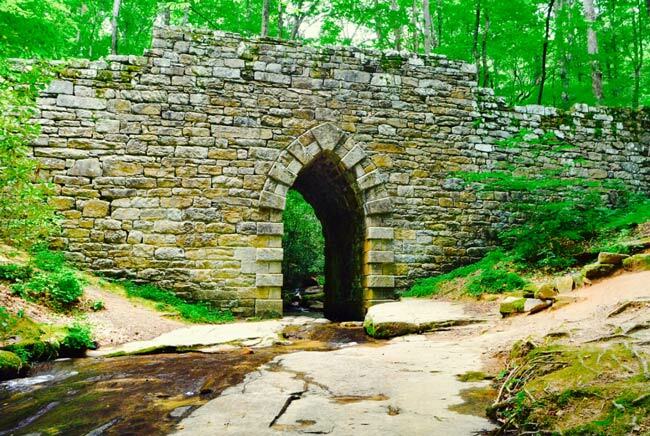 Coming from TN, we visited this bridge over the weekend on a trip to the Greenville area. 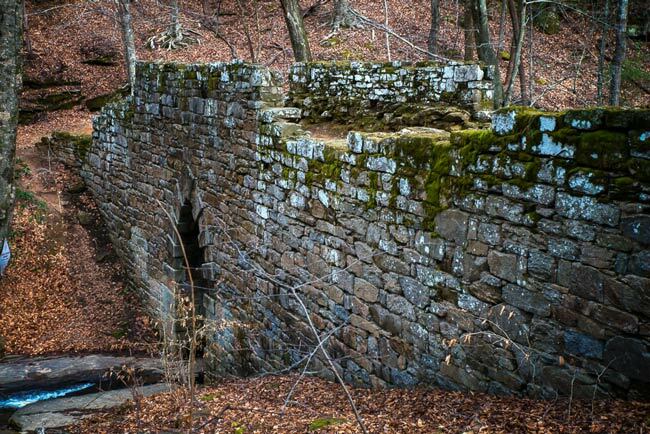 The beautiful stonework and the engineering involved was a sight to see. It is tough to imagine the hard work involved to build something like this at that time in history. Definitely worth a stop if traveling on nearby Hwy 25. Yes, there is a small unpaved parking area across the road now. They made improvements to the access to the bridge a couple of years ago. 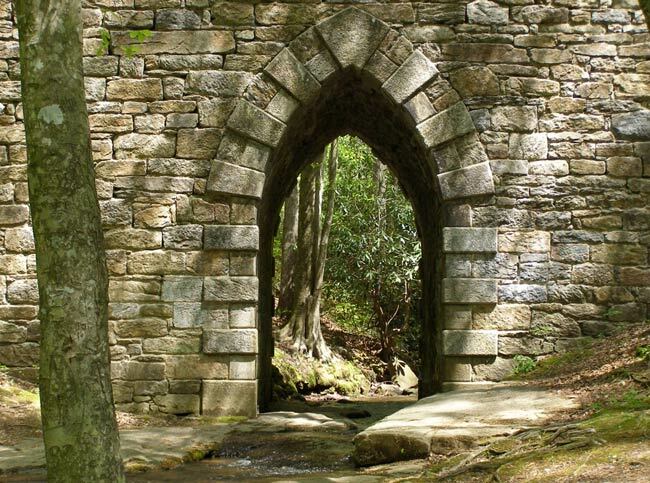 One of my more poignant and serene memories I have from my youth….made many visits to the old Poinsett Bridge in my Boy Scout days when I was a camper at Camp Old Indian circa 1965 – 72. Beautiful spot. Yes, Martha, there is a parking area across the street from the bridge. Enjoy! Would like to visit again. Was here 15 years ago, but had to park in the road. Is there a parking place now? What a wonderful surprise; we totally enjoyed this beautiful, old piece of architecture. Amazing! They don’t build bridges like they used to! My 2x-great grandparents, Pinkney and Martha Jane (Wilson) Burrell were from this area. His parents were laid to rest at Mt Pleasant Baptist Ch cemetery in Travelers Rest. They had a son named Poinsett (aka Piney), so I wonder if there is some significance in that. Is there a list somewhere that names those who built the bridge? 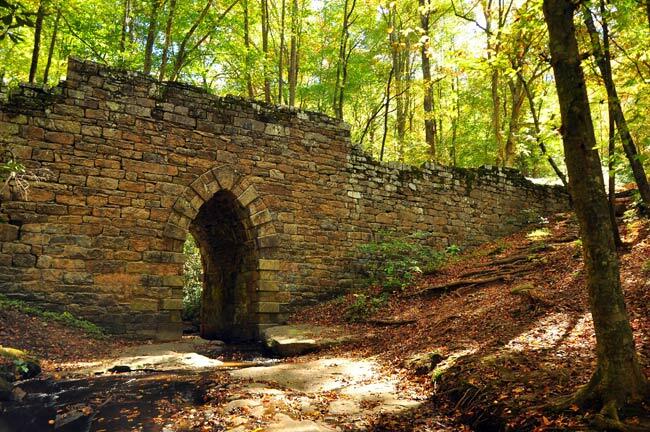 My great-great-great-great grandfather Samuel L. Gordon helped build this bridge — so awesome! 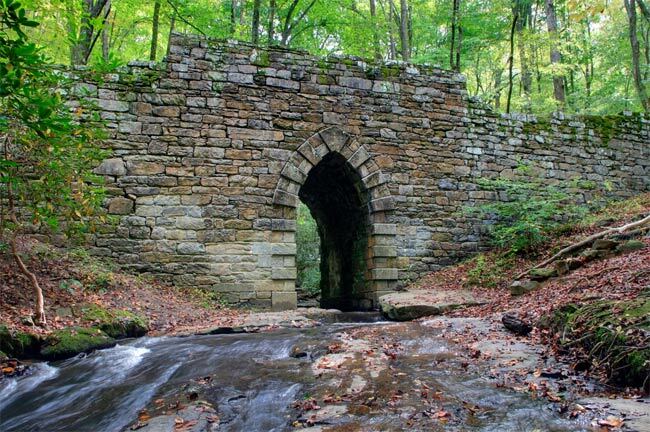 I remember riding a school bus across the Poinsett Bridge in the early to mid 50s to attend Tigerville Elementary. It was one lane and someone had to wait to cross if another vehicle was approaching.